I have to get one more historical (and on-going) project out of the way before I'll feel really caught up enough to talk about current product development. 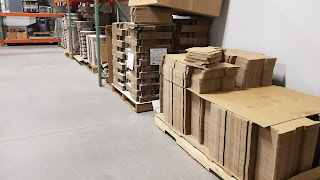 Here at CravenSpeed we fold about 150k boxes a year, and have I mentioned lately we do it all in Portland, OR? Doing this stateside means it costs us a pretty penny in labor for our thumbs-only origami efforts. 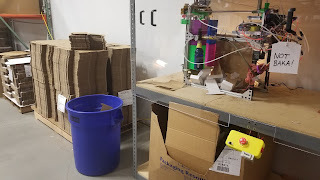 Enter, the box folding machine. We've been working on this thing for about 2 years, off and on, mostly off. 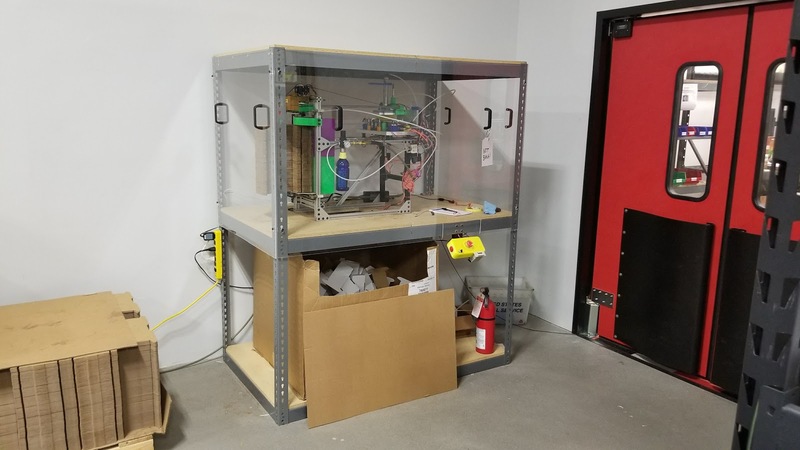 But now that it's in production, it's become a bit like a pet horse; we all love it because it works hard for us, and we also suspect that it's smarter than it lets on, but it is a hungry beast that needs to be fed constantly. 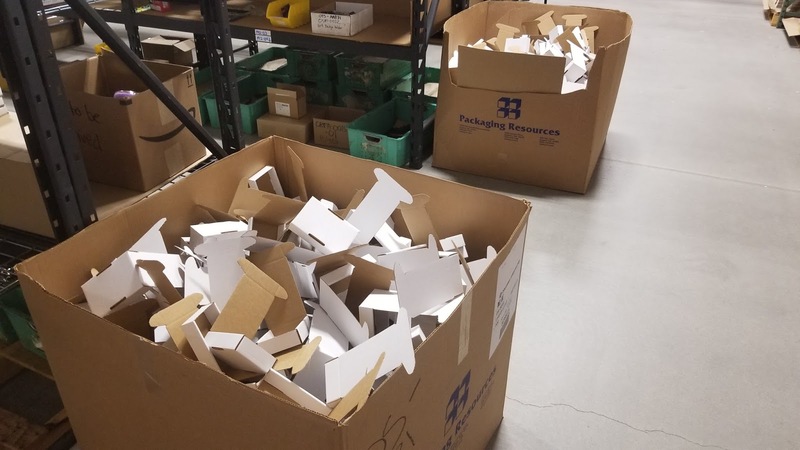 Before getting started, we did some time trials and we discovered that a person can fold one of these boxes in 7 to 10 seconds, which is much faster than it works out to in a 8 hour shift because people can't (or won't) keep that pace for an entire shift. 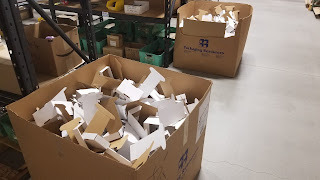 For now, the goal would be 10 seconds per box for the box folding machine. So, at 150,000 boxes a year, 10 seconds a piece, that's roughly 416 person hours displaced before factoring in health insurance, breaks, and idle chit-chat. I see it as freeing up half a person to do more meaningful work for the year and years to come. Anyway, it took quite a bit of development, including many iterations along the way. 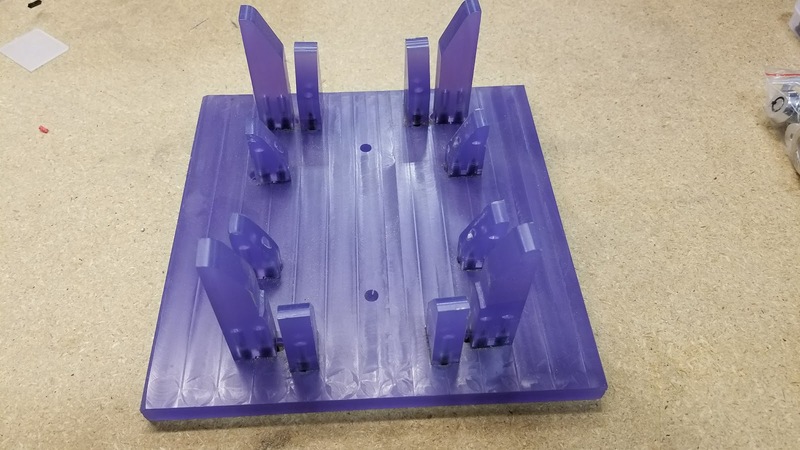 The idea at first was just to use a forming fixture that would allow us to press the box into a mold of sorts and then we'd finish the rest by hand. 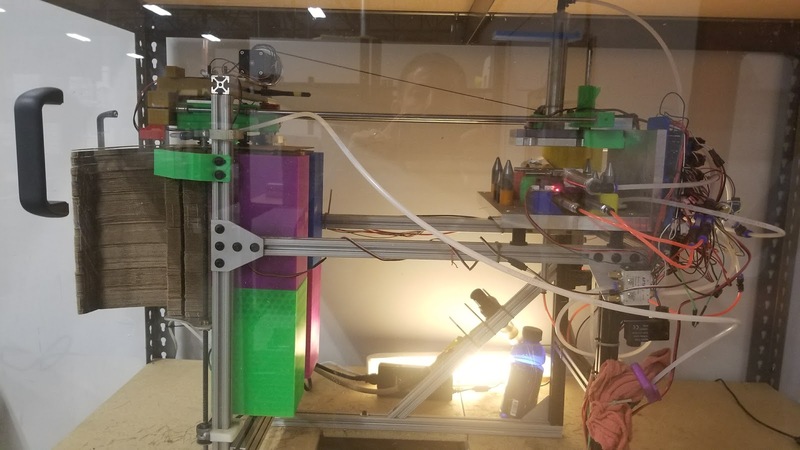 The concept was good and we ended up using the same basic principle for the real machine later on, but for now it turned out to not really save us much time. 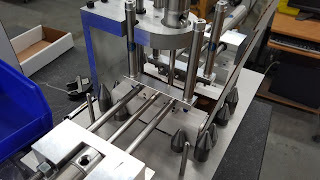 The short version of the story is the Folding Jig didn't get us where we wanted to be, but knowing the potential savings (at the very least in boredom) we decided to press on. So we did and this time, we decided to go big. We brought in the big brain and brawn of one of our founders. He's got the capability of a full machine shop with all the fixins, but not so much free time to spend on it. This is what we got back after about 8 months of waiting and, in essence, is what we ended up with currently, though it evolved significantly from here. I wasn't expecting to use compressed air necessarily, so I had to learn about pneumatic cylinders when it came back like this. 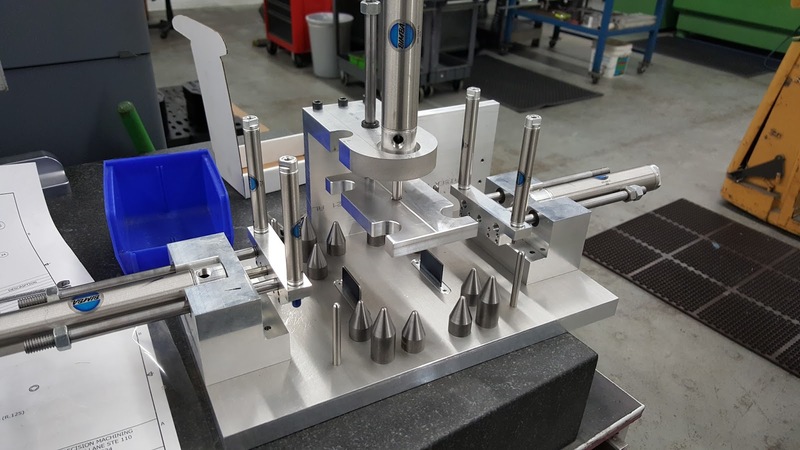 You'll notice everything is machined from aluminum, so the tolerances on parts that need multiple operations are right at +/- 0.005 inches which is pretty tight. Unfortunately air cylinders are not nearly that precise. More on that later--this is just the stage I learned this little tidbit. I didn't figure out how to solve it until later. 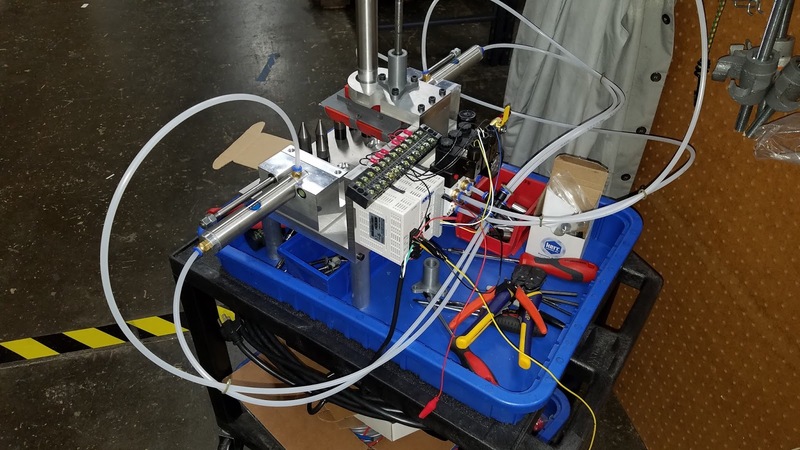 The base unit also came back with an industrial PLC or Programmable Logic Controller. This is a pretty cool little computer that uses a PC-based "ladder logic" programming interface. It's basically a bank of relays that takes in 110vac and puts out the 24v our air solenoids need to operate. 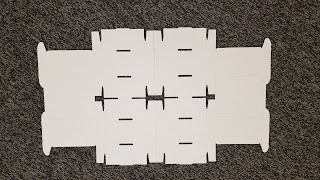 I found that folding the flaps on the box was a challenge using all linear motion. And, quite honestly, I'm not a big fan of the PLC. 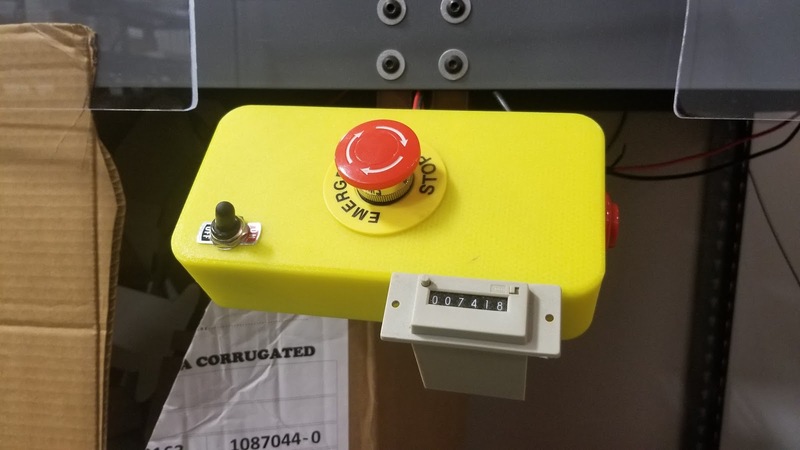 I've used Arduino for a number of projects in the past (anyone interested in reading about our custom Bubble Hockey Scoreboard? ), though never for anything this ambitious. 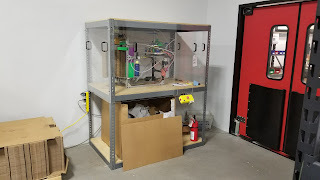 Anyway, I decided to swap out the PLC and give something else a shot. I pulled a couple stepper motors from an out-of-commission 3D printer and modeled up some parts, as you can see in the photo above. Basically, this proved that using rotary motion was the way to go, but the small motors would also prove to be too gutless on torque, so the brainstorm went on. I probably could have bought giant steppers and/or geared them to my needs, but it wasn't really falling into place mathematically. I came up with the idea to use the existing air cylinders, but designed a way to get them to give me the rotary motion I was looking for. 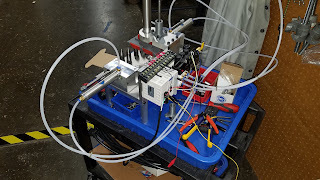 Check out the video of me controlling the solenoids manually below. 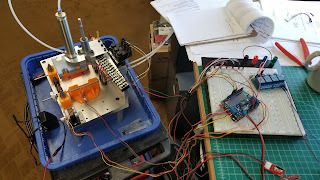 You can see in the second video that once the mechanical part of it was proved out manually, the next step was to imitate those signals with our Arduino Mega. 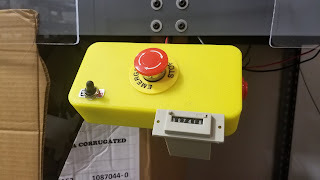 You can see limit switches as well that I added for safety reasons. If the cylinders aren't where they are supposed to be, an error is kicked and the system shuts down. 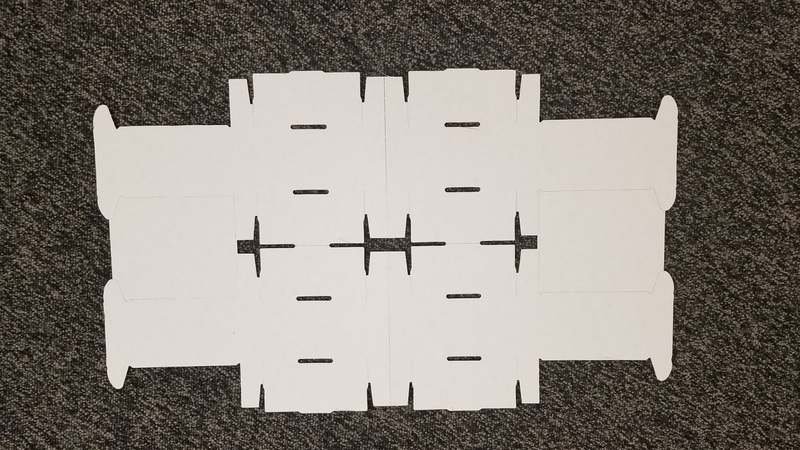 I think it's pretty obvious from the video that the next stage is definitely going to be loading and unloading the boxes. Otherwise, it doesn't save us any time because someone would need to stand there and load it, watch it, and still take bathroom and smoke breaks. Phase 3 made believers out of the doubters. There is a reason John Henry is dead. This iteration certainly wouldn't have killed him, but by now you should be able to see the writing on the wall. Here's an early demonstration of what it could do just before going into production. At the end of the day, we have a box folding machine that is capable of keeping 3 or 4 people in boxes for an entire shift. There are things we could do to speed it up and to get it to run overnight. But, since it is already fast enough to keep up with the humans in the shop, the cost of the necessary equipment isn't really justified. Plus, I spent most of the rest of my budget on giving it a creepy, apocalyptic voice. If you want to hear it, you'll have to come take a tour of the shop.